in an almost invisible way. There are many factors which affect the duration of treatment; the complexity of the problem, the growth of the mouth and face and the co-operation of the patient. Braces are usually worn for 12-24 months, though it may take a little longer for adult patients, or those with extremely complex problems. Braces are usually worn for 12-24 months, though it may take a little longer for adult patients, or those with extremely complex problems. After the braces are removed, a retaining device will usually be fitted to prevent the teeth from rebounding to their original positions. By Lingual Orthodontic described orthodontic method in which the hooks (braces) placed on language (rear) surface of the teeth, thus not visible. (Non-visible method). The use of sapphire hooks, made of transparent glass, offers during the treatment a high aesthetic effect that binds perfectly with the tooth enamel of the patient. 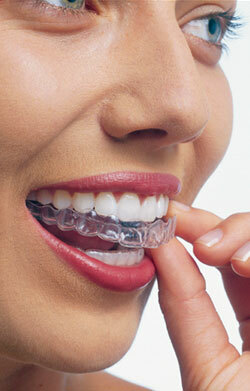 The main parameter is to achieve the optimum orthodontic result delivering the less time-consuming treatment. The treatment of each patient separately with the outmost attention as well as our compliance with the rules of the Science of Orthodontics and Deontology are major parameters in our everyday clinical practice concerning the treatment of our patients and the operation of our office. How often should I visit my orthodontist? Tools and equipment sterilization in Orthodontist’s office. Sleep Apnea – How can you orthodontist help you?